Littleton & Rue has a separate cremation facility onsite for pets. Pet Cremation Service gives families a dignified choice when dealing with the loss of a pet. Our compassionate staff will coordinate all the final arrangements of your pet's cremation. You may bring your pet in and spend a few final moments with it in our "pet receiving room." If you prefer to have us pick up your pet, we will work with your veterinarian. Your pet is family. We understand the loss and offer your pet the respect it deserves. For animals that are not fortunate enough to have a loving family, we donate a portion of every pet cremation fee to your local Humane Society. Our "Dignity Pet Cremation Service" is just another way we show you we care. Call us at (937) 323-6439. 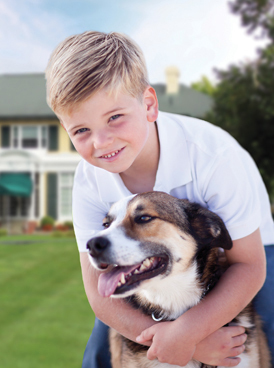 View our Pet Crematory brochure - includes pricing and Frequently Asked Questions.